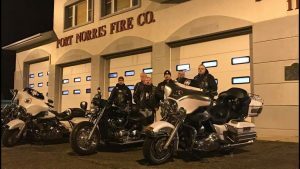 Port Norris Fire Co would like to thank the Brothers In Blue MC, NJ “Jersey Devils” Chapter for stopping by the station last night. Brothers In Blue presented us with teddy bear as part of their Freddie’s Teddies program. 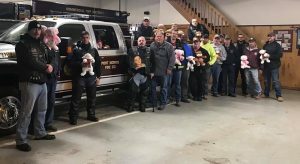 The bear will be given to children during traumatic situations. We thank you for including us in your wonderful program memorializing Jennifer Freddy Meadows.